Although Windows has a simple volume slider, it wont hurt if you can have an eye candy version of it. 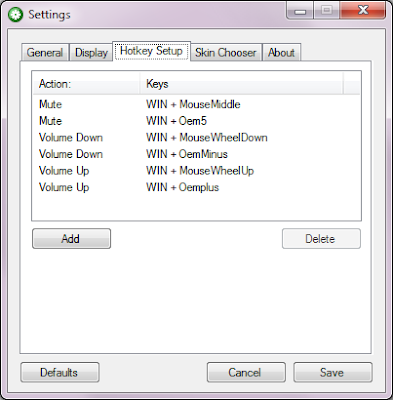 3RVX is a skinnable on-screen display (OSD) volume indicator that allows you to control the volume via a skinnable slider or custom hotkeys. By default, you can choose from 8 different skins. You can change the default hot keys by right-clicking on its icon in the system tray and choose Settings from the popup menu. You can also change other settings such as General Settings, Display and Skin. If you want a skin other than the default 8 skins, you can download it from here. 3RVX works on Windows XP, Vista and Windows 7. What Is The Best Jobs In America?